To discover which cities are delivering on that last core promise, look no further than London, UK. As the Mayor of London prepares to co-host the 10th International Public Markets Conference with Project for Public Spaces in June of this year, we reflect on Mayor Sadiq Khan’s major recent policy initiative to support, preserve, and promote London’s vast network of vibrant street and covered markets. Along with the creation of an interactive online map of each of the city’s 280 markets, the Mayor also published an extensive report—“Understanding London’s Markets”—which explores the key challenges markets face, outlines the breadth of social and economic benefits they offer, and provides a set of 12 recommendations for improving their long-term sustainability and social impact. A central component of this bold set of measures was the Mayor’s establishment of the first-ever strategic forum to oversee all of London’s markets, the London Markets Board. Officially launched on December 20, 2017 in Borough Market’s Three Crown Square, this team of industry experts, business leaders, and market representatives will help to oversee the execution of a city-wide strategy to ensure that public markets continue to bring diverse social, cultural, and economic benefits to all Londoners. 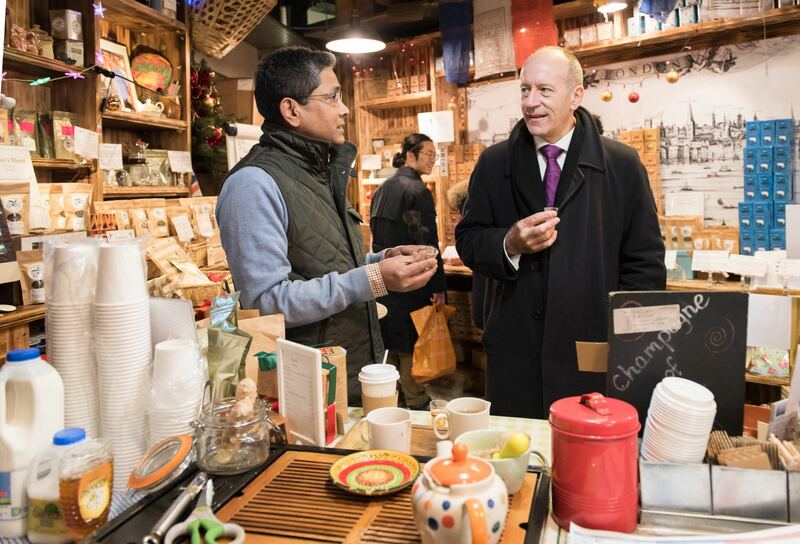 Jules Pipe, Deputy Mayor for Planning, Regeneration and Skills and Co-chair of the London Markets Board visits traders at Borough Market during the launch of London’s Street and Covered Markets programme in December 2017. London is an exemplar of a “Market City,” a city with a strong network of physical markets, as well as increasingly strong policy and support infrastructure to back it up. Like Barcelona, it has markets across the city that help distribute healthy, locally-produced food and other goods. The city also has large central markets, like Camden Market and Brixton Market, that act as hubs for the region and function as great multi-use destinations, with many activities clustering nearby. Why are cities like Barcelona and London investing in markets as critical infrastructure? Because they recognize their ability to strengthen local economies, promote physical health and sustainability, and foster deep social connections in the communities they serve. “For me, the key triumph [in the first year of the London Markets Board] has been the overwhelming welcome from the market community for the London Markets Board and the explosion of interest in the market sector, from public and private, academia and politicians,” said board Co-Chairman, Helen Evans. Fresh produce offered at Berwick Street Market, Westminster. Attendees of the 10th International Public Markets Conference will represent cities and towns from all over the world—urban and rural, large and small, and vastly diverse in terms of economic, social, and physical resources. And while few places will resemble London in many respects, all conference participants will find opportunities to learn from and implement the successes of London’s Street and Covered Markets Agenda. 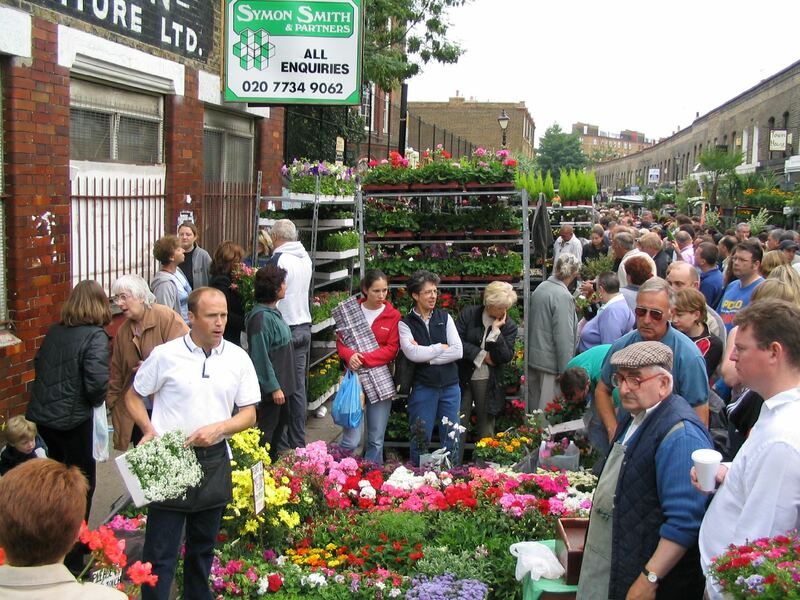 Columbia Road Market, a Sunday market specializing in fresh flowers and plants. 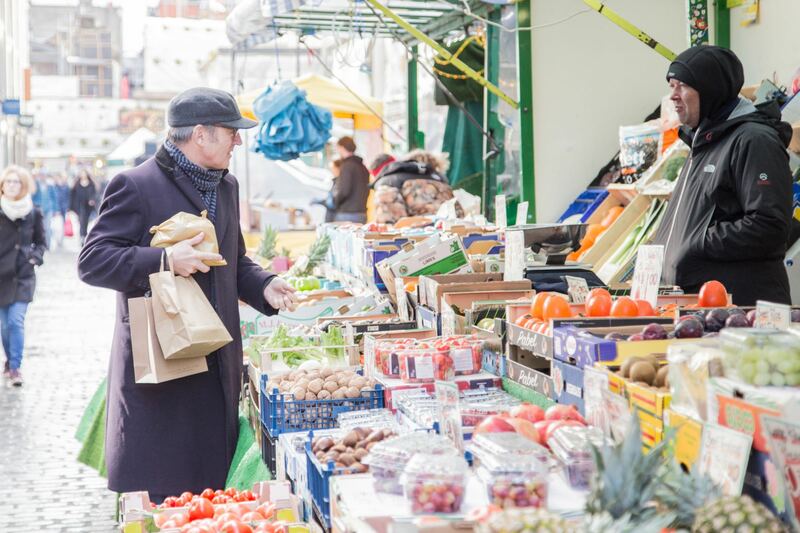 Public markets have been at the heart of London’s unique cultural fabric for centuries, and these diverse, communal public spaces are a mainstay of the everyday experience of both Londoners and those visiting the capitol. The 10th International Public Markets Conference will shine a spotlight on the diversity and quality of London’s vibrant markets, as well as the groundbreaking path the city has forged in creating this city-wide multifaceted initiative. The 10th International Public Markets Conference will also usher in the launch of the Tomorrow’s Market Programme. A collaboration between the London Markets Board, the Mayor of London, and London Growth Hub, this innovative business support initiative will help new traders entering the market sector by recruiting a cohort of entrepreneurs, matching them with public markets, and providing a cohesive program of training, mentoring, skill sharing, and networking. This is a truly historical moment in the history of London’s markets and those around the world, and our conference program will give participants many opportunities to share ideas and expertise, to explore new solutions to the challenges facing today’s public market enterprises, and to witness London’s thriving market scene in the context of these recent policy initiatives. While participants will certainly learn from London, London also hopes to learn from our international roster of market professionals. Be sure to visit PPS’s conference website to stay up to date on details for the event. We will update the site frequently with details on the program, speaker lineup, and related activities and side events as they become available, and we will continue to add rich and informative content as we begin counting down to the conference on June 6-8, 2019.